A few years ago, the Brooklyn Public Library began offering re-entry services for incarcerated people, and launched TeleStory, a free teleconferencing service that connects individuals with their loved ones who are currently incarcerated. Now, the BPL has partnered with The New School’s DESIS (Design for Social Innovation and Sustainability) Lab in order to complete a design project that will see ethnographers and designers engage with librarians and participants to determine how best to design re-entry services in libraries moving forward. In an interview with Urban Omnibus, Eduardo Staszowski, Director of DESIS Lab, spoke about the importance of design in a project like this, and why The New School is getting involved. DESIS Lab has prior experience working with libraries, as they previously collaborated with the Mayor’s Office of Immigrant Affairs on a financial empowerment project targeted at people applying for citizenship. 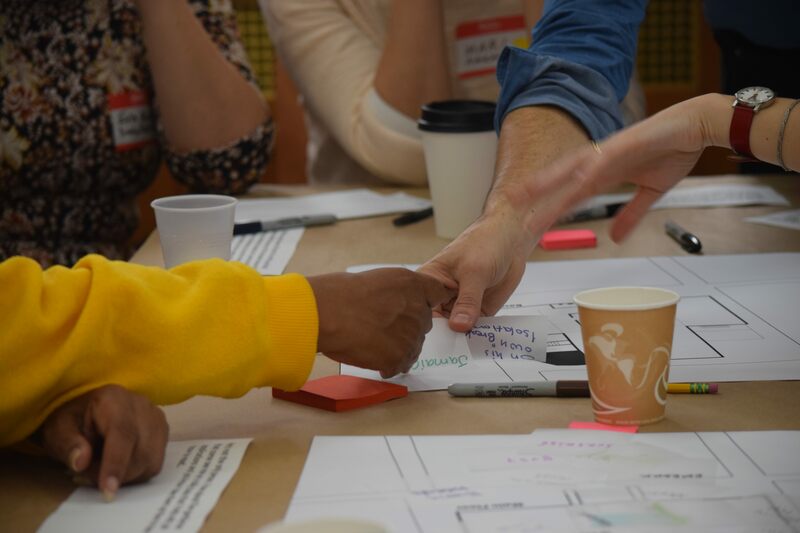 Students in the Transdisciplinary Design graduate program, led by DESIS Lab researchers, just completed their first round of discovery activities, and facilitated a co-creation workshop with project stakeholders at the Bed-Stuy branch of the BPL. The research will yield a richly grounded set of insights, including visual artifacts, to inform investment and strategic decisions, including a set of design opportunities for enhancing existing services or creating new ones. In the same interview, Lara Penin, Co-Founder of DESIS Lab, shared her thoughts on the project and its impact on the community.